An official from Brazil's National Museum says he and his colleagues knew about fire risks at the building and worried about them every day. Temer said Monday that several private banks, the public development bank, mining company Vale and state-run oil company Petrobras will form a "network of economic support" to help restore the museum and reconstitute its collection. 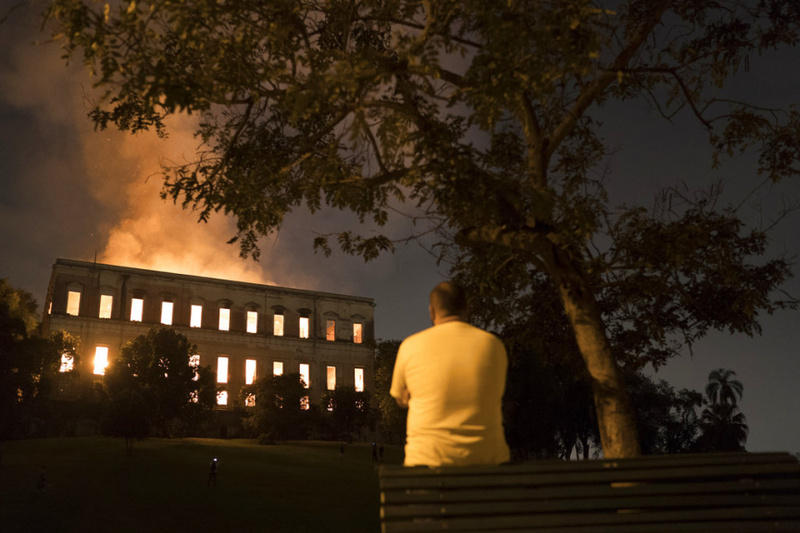 Smoke was still rising from the burned-out hulk of Brazil's National Museum after a large fire broke out. "This fire is what Brazilian politicians are doing to the people," said Rosana Hollanda, a 35-year-old high school teacher. "They're burning our history, and they're burning our dreams."